Melissa brings over 30 years of training, leadership, learning and development experience to her role as Chief Executive Officer of Learning Dimensions Network, a position she has held for 10+ years. Responsible for an RTO who has managed over 17,000 enrolments, Melissa oversees all Accounts for accredited and non accredited clients. As the Head Assessor for all leadership and management qualifications, Melissa is responsible for all areas of creating and delivering VET qualifications in addition to having personally marked over 900 assessments, Melissa enjoys stewarding learners through their assessment journey in her area of expertise. With a keen eye for process and systems, Melissa has previously been a learning and development consultant and coach in her own right, in addition to holding global General Management positions in various consultancies based in Malaysia, Singapore and North America. With a specialty in international training with cross cultural overlays, Melissa’s commitment to clients is to provide high level Account Management and to ensure the project team delivers robust solutions that produce tangible outcomes whilst providing service that exceeds expectations. As one of our most dynamic and insightful consultants, Louise has a strong reputation for her practical approach to achieving operational, behavioural and cultural outcomes that outlast the life of the project. Having previously held various HR and leadership positions within Australian blue chip organisations, Louise became a founding partner of Learning Dimensions Network, the parent company of Leadership Dimensions, 19 years ago. As an experienced designer and developer of interventions that align with organisational goals, Louise holds qualifications in both organisational behaviour and business management. Known as the ‘Trainer of Trainers’, Louise regularly receives feedback such as ‘simply the best facilitator I have met’, as commented by a Director of Safety and HR for a large construction company. As an experienced researcher, designer and developer of safety interventions that align with operational and systemic outcomes, Kevin is well known for his practical application of best practice approaches, particularly at senior management level. Kevin brings 30 years of experience as a senior leader within various businesses in the United Kingdom, Europe and Australia, including 10 years as a Senior Consultant with Chandler MacLeod. Kevin holds teaching qualifications and specialises in psychometric and values-based assessment tools. Kevin is a highly sought after coach to CEOs, MDs and their senior teams, and focuses on safety and other leadership responsibilities. He is also a founding partner of Learning Dimensions Network, the parent company of Leadership Dimensions. Sue brings over 20 years experience in service industries, training, education, recruitment and consulting to her role at Leadership Dimensions. Responsible for working solely along side our Managing Partner of Safety Dimensions, Sue works on high profile and senior executive accounts across the mining, construction, aviation and manufacturing industries, and specialises in accounts which require that special level of attention due to complexity, size, scope or confidentiality. Known for her relaxed, client centric, yet pragmatic approach, Sue successfully applies her business development, operations, recruitment, financial and project management experience with her ability to listen and provide insight to consistently deliver service of the highest standard. As Assistant General Manager Paula works directly with the CEO, General Manager and the Board and has responsibility for ensuring, in consultation with the General Manager, that the strategic vision of the organisation is achieved. Having had overall responsibility for the day to day running of the business, and the operational teams, (Project Management, Design and Development and Operations) Paula is able to bring her practical experience to any challenge. With over 10 years national and international experience in the training and development field ranging from project management, marketing, scheduling, facilitator management and business operations, Paula’s expertise is highly valued within Learning Dimensions. Harai has over 20 years experience as an operations and administration generalist covering areas such as IT management, process re-engineering, human resources, events management, policy writing, project management and leading and managing teams. With a strong belief that “every person adds value to an organisation”, she strives to assist others to achieve their learning outcomes. 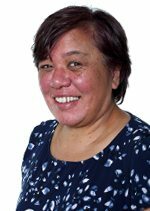 Having worked across a range of industry sectors, including tertiary education, sales and marketing and government, Harai brings adaptability, energy and a passion for connecting people to services, support and opportunities. Wayne Willey is Financial Controller and head of the Finance department at Learning Dimensions Network. Wayne’s role is to oversee all the financial operations, internal controls and integrity of the finance department, whilst providing excellent customer service to both internal and external stakeholders. Wayne has held senior leadership roles with strategic and financial management responsibilities across a mix of industries. Wayne holds a Bachelor of Commerce degree and is CPA qualified. Wayne’s experience covers accounting, financial management, project management, systems improvement and strategic planning. Tania has 20 years experience in marketing, communication, web and online strategy across corporate, government, education, not-for-profit and social enterprise. In addition to her marketing role, Tania develops the Learning Dimensions Network online learning portals. Tania holds a Bachelor of Education and an M.A.in Marketing.